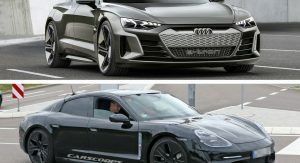 Will The Audi E-Tron GT Steal The Porsche Taycan’s Thunder? The Audi E-Tron GT concept was one of the stars of the Los Angeles Auto Show and there’s no denying it’s an absolute beauty. The concept previews a production model which will arrive in 2020 and it looks set to battle the highly-anticipated Porsche Taycan. While we haven’t seen the final designs of either model quite yet, it’s bound to be an interesting sibling rivalry. Both models have a lot in common as they resemble five-door hatchbacks that are more geared towards sport than practicality. While the overall shape is largely the same, the E-Tron GT has aggressive lines while the Taycan features subtle curves and flowing surfaces. Some of the biggest differences can be seen up front, as the E-Tron GT has a prominent singleframe grille which is flanked by sporty air intakes and slender matrix LED headlights. The Taycan, on the other hand, features a more restrained appearance that echos the Panamera. Moving further back, both models have front fender vents and a charging port located on the passenger side front fender. However, there are plenty of differences as the E-Tron GT has more angular bodywork and prominent character lines on the doors and rear haunches. The Taycan goes in a different direction as it has softly curved surfaces and a more flowing beltline. The car also has muscular rear fenders, but they eschew the heavy styling details of the Audi. 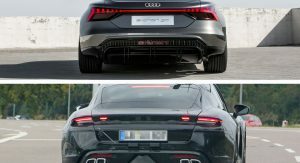 Interestingly, this trend is reversed at the back as the Audi has a rounder rear end while the Taycan has a more pronounced trunk. Despite this difference, both models have full width taillights and an aerodynamic diffuser. 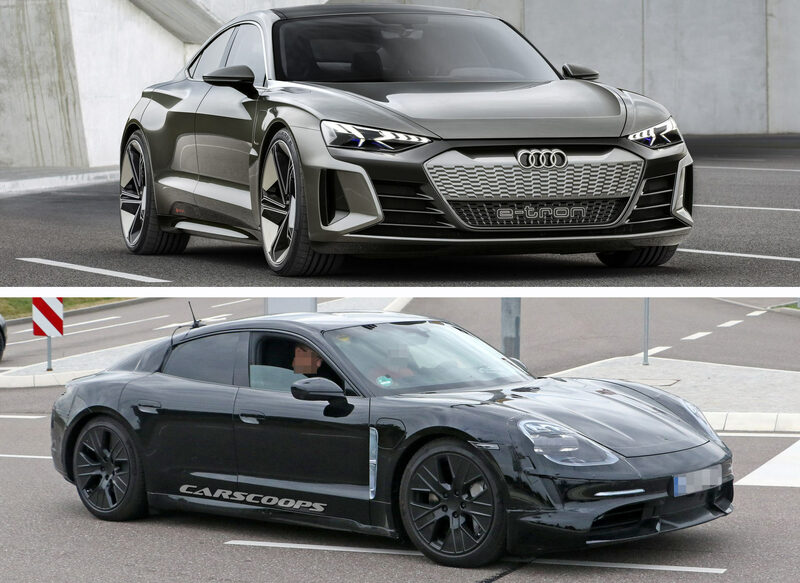 On the performance front, both cars are nearly identical as the E-Tron GT has two electric motors that give the concept a combined output of 581 hp (434 kW / 590 PS). 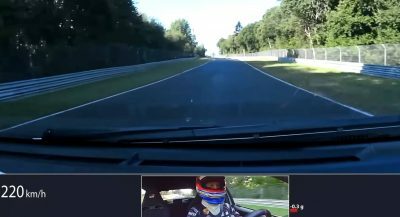 This enables the car to accelerate from 0-62 mph (0-100 km/h) in around 3.5 seconds before hitting a limited top speed of 149 mph (240 km/h). The Taycan also uses two electric motors, but it will have a combined output in excess of 592 hp (441 kW / 600 PS). As a result, the car will run from 0-62 mph (0-100 km/h) in less than 3.5 seconds. The ranges appear pretty different, but that’s because the Audi can travel more than 248 miles (400 km) according to WLTP standards. The Taycan’s range of more than 310 miles (500 km) was calculated using the older NEDC standard. Why can’t you see that’s the same car? cause no one gives a f that it’s owned by vw group. I like that there is a semblance of a working grill. Reason: Restyled Versions of almost the same vehicle, aimed at two completely different customer markets (customers with separate needs). Will The E-tron steal the Taycan’s thunder?, no, but It might take some sales away from the standard A7. Really, it’s a win-win situation for VW. I don’t agree that they are aimed at two ‘completely’ different markets. Expensive, 4-door GT with coupé-like styling and electric propulsion. Not exactly ‘completely’ different. I agree with yourself. I should have specified more, maybe less “completely’ different markets. But rather completely different price-points. 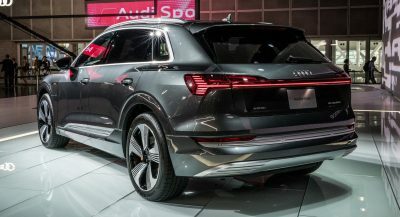 If Audi builds this, I will expect it to rival the Model S.
But with the Porsche Taycan, I think that will be aimed at a price point above 100k. More so completely different price-points in a similar market. The E-Tron GT looks sooooo good. It also seems larger than the Taycan. I’d like to see the eTron in other colors. It looks good, but the multiple panel colors on the front seems needlessly busy. The Taycan seems effortlessly confident versus the Pontiac-style go-fast plastic design of the Audi front end. Though the side profile of the Audi is pretty much perfection. As of now, i’m preferring the Audi. Until the Taycan gets rid of the camo. LETS WAIT UNTIL THEY’RE ACTUALLY BUILT. AT LEAST THE HEADLINE DIDN’T ASK IT THEY WERE TESLA KILLERS. THERE’S ROOM FOR ALL OF THEM. 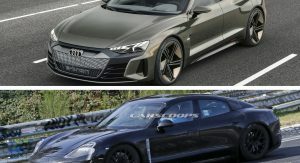 what if a taycan was a test mule for gt e-tron? What an amazing guess! Laughed so hard. The Audi will win out when it comes to Tesla-type buyers. The Porsche will win out when it comes to wealthy people who like to show off sports cars. So the kind of person who would buy a Tesla, or a i8, or an S-class will probably prefer the Audi, and the kind of person who would buy a 720 S or Aventador or a 488 or a la ferrari or a porsche 918, will probably enjoy the porsche more. I don’t think we disagree. I say what I say because a large number of people who buy Tesla’s and I8’s want something that looks smart, has the most advanced tech, packaged in great design, while offering good performance, and the Audi communicates that more than the Porsche does. 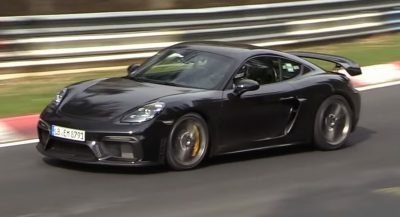 The Porsche on the other hand just looks like a [email protected]$$ sports car that will lean more towards both high performance crowd, and those who want to show off their high performance ride. It’s just my sense of things. If my guess is correct, we’ll see a Lamborghini version of this as well.